Yesterday afternoon, I had the absolute pleasure of attending the final session of Spirit of Youth. 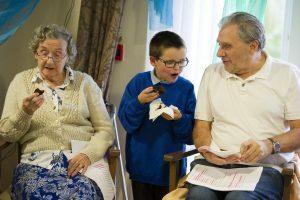 After ten weeks of primary school children visiting the residents of a local care-home, the group would be showing their work to an audience, for the first time. Not only was this to be their first performance, but the first ever performance for this project. The play chosen for this milestone moment was A Midsummer Night’s Dream. Funny and magical with more than a little madness, the show was gorgeous from beginning to end. There were notable performances and some fantastically feisty lines (improvised around the original text), but the true magic lied in the fact that this group of ten children and ten residents had clearly bonded so well over their time together. 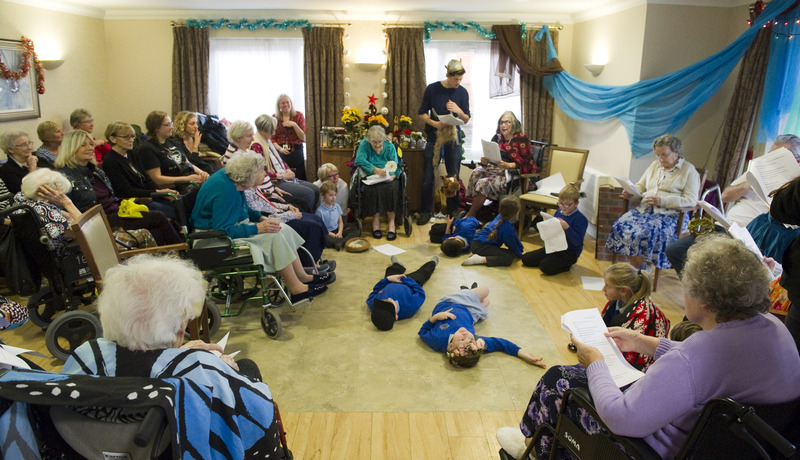 The friendships created were obvious to everyone, as the children and residents lent each other a helping hand when someone lost their place or a line was missed. In what should become a theatrical tradition, everyone stayed behind to chat over chocolate-cake and sip fruit-juice or tea (life experience depending), before swapping presents. In a lovely touch, the children all received hand-made calendars for 2019, housing a lovely picture of the child with their resident ‘buddy’. I’m sure the memories of this remarkable project will stay strong for everyone involved. for now, Christmas is coming with a well-earned rest. Everyone’s going to need it, too, as we’re delighted to say that Spirit of Youth will return for a second term in January. If you’d like to know more, or want to support the project, please contact us.